We’ve seen the beaches in Cancun, ate at the popular restaurants, and we’ve been to the shopping centers here, so we decided to spend our day off this week in Playa del Carmen. Playa del Carmen is located 1 hour south of Cancun. It is referred to as simply “Playa”. Since a few margaritas were in our future we opted to take the ADO Bus instead of driving ourselves. The bus costs $48 pesos ($3.70 USD) per person each way. From the hotel zone you can take the R-1 Bus to the ADO bus depot. At the depot you can buy a ticket to almost anywhere. We only had to wait about 2 minutes for the next bus to depart Cancun. The bus was comfortable and quite. In 1 hour we were arriving to Playa del Carmen. 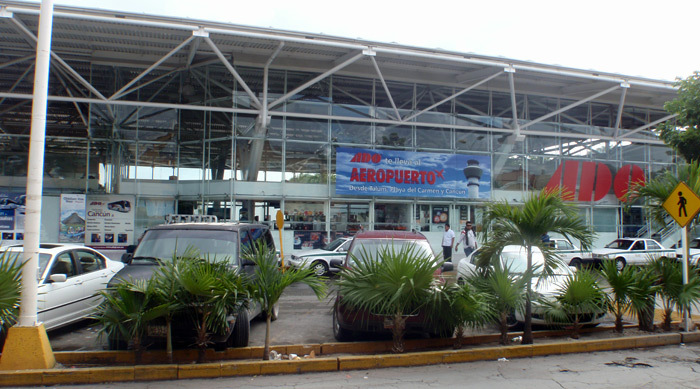 The bus depot in Playa is right on the famous 5th Ave, very close to the ferry dock that goes to Cozumel. We did not need any other transportation while in Playa. If you hover over the little blue square on the map you can see the ADO Bus Depot. From there we walked northeast on 5th Ave. Our first stop was 3 blocks away from the beach to this cool little area with a handful of food carts in a small park. For only 20 pesos we got lechon tortas (pulled pork & onion sandwiches) that were really tasty. The shops on Playa’s 5th Ave. are super chic and you can buy almost anything you need. Silver, swimsuits, cigars, clothes, hammocks, jewelry, in addition to souvenirs of all kinds. 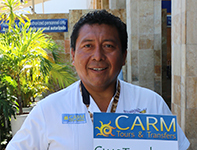 While we do get some of the aggressive sales tactics of the vendors on the street yelling “Come into my shop, I have what you need!” it is less aggressive than the markets in Cancun. After we walked the entire length of 5th Ave and we were done shopping, we cut back to the beach. 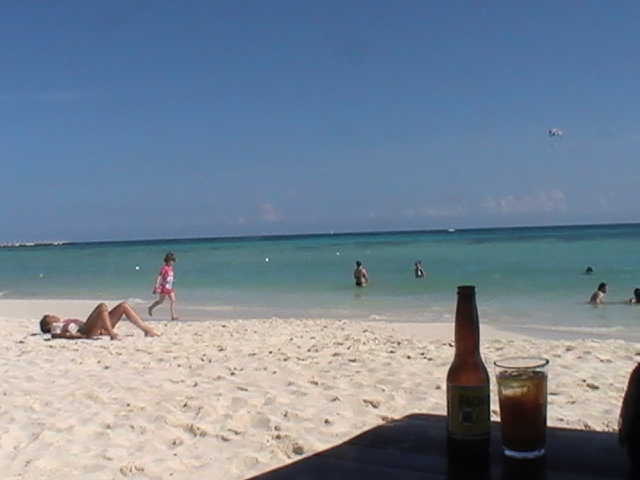 The beach is Playa is wide and perfect white powdery sand. The waves roll in with less force than in Cancun’s ocean side hotel zone. Playa’s beaches are full of beach bars and restaurants with lounge chairs and umbrellas. There are relaxing cabanas where you can get a massage for about $18 USD for 30 minutes. By this time is was afternoon and we were ready for a cold beer on the beach. Beers are about 30 pesos each and that was just what we needed.